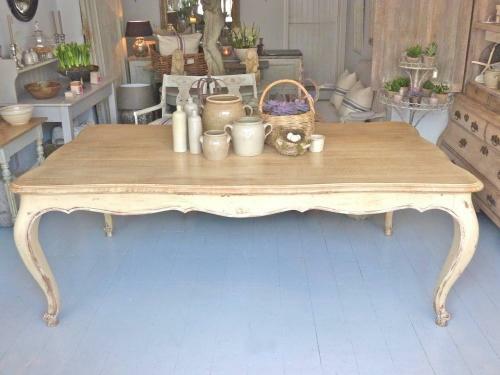 Impressive French Regency style dining table in solid oak with limed top and original painted legs. Circa 1910 -1920. Large enough to seat twelve people in comfort.